If you already have a vegetable garden, you should definitely include broccoli. Growing broccoli is not difficult and brings numerous health benefits. Let’s see how to grow broccoli in your garden! Direct seeding is possible, especially with a fall crop. Start your broccoli seeds in early spring if you want to have a first harvest in summer. For a fall harvest, start the seeds in midsummer. Broccoli transplants can grow 6-8 weeks for a summer crop and 5-6 weeks for a fall crop. If you grow them in spring provide enough cold weather to harden off and ensure they are protected from freezing temperatures. Broccoli grows best in the cooler season and likes temperatures between 65 and 75 F. When you plant broccoli in spring allow a good amount of time to harvest the broccoli before the weather becomes too hot. Make sure the rows are 3 feet apart, and the plants 1 1/2 – 2 feet apart. Broccoli prefer well drained soil with a texture between sandy and clay loam. The soil pH should be between 5.8 and 6.5. Broccoli require lots of sunshine, however, they can tolerate some shade too. Water is essential for broccoli. You should water the garden in the morning so the foliage is dry before the sun goes down. 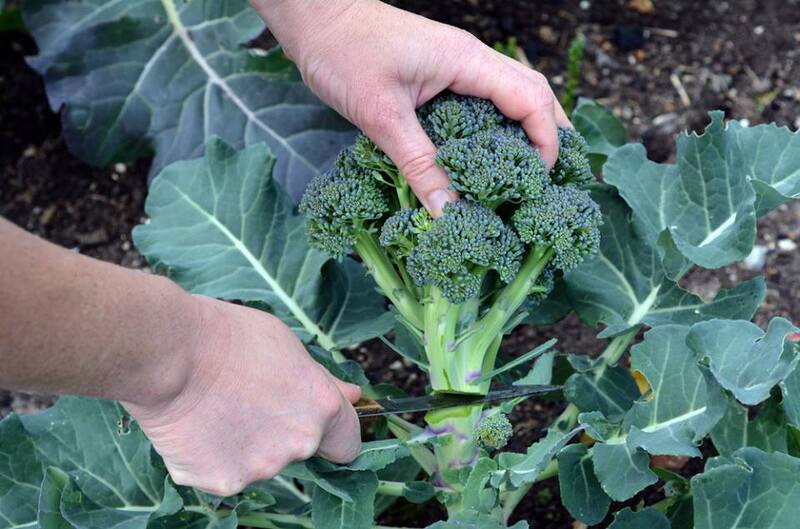 Make sure you water the broccoli enough to moisten the soil to a depth of at least 6 inches. If you only sprinkle the plants lightly, your broccoli will have shallow roots. Broccoli needs plenty of nutrients as well. Make sure you apply 5-10-10 to the soil before planting broccoli in the soil. Broccoli is usually ready to pick 65 to 70 days after planting. Pick the broccoli when the heads are 3 to 6 inches around. Harvesting broccoli shouldn’t be hard. Just cut the main stem of the broccoli about 6 inches below the head. Make sure the flower buds are still closed.